Tisanes or herb teas have been in vogue in southern Europe since Roman times. The fictional detective Hercule Poirot often needed a tisane after a particularly trying day. Today herb teas are increasing in popularity with the recognition of the harmful effects of too much coffee and ordinary tea. But aren’t herb teas expensive and don’t they taste awful? Not true! Especially if you grow your own, and can experiment with different combinations. Fresh or freshly dried leaves and flowers taste much better than the often musty plant material of questionable content and origin found in shops. Recent research by New York City high school students using simple DNA techniques, found that several herbal teas contain ingredients not listed on the pack. So if you grow and use your own, at least you can be certain about what you are drinking. Many herbs can be made into tea but some have unpleasant flavours and others have potent medicinal properties which can be harmful if used in the wrong way. The herbs described below are safe to drink but, as with all food and beverage, moderation is the key — don’t drink any one herb too often or in too much abundance. 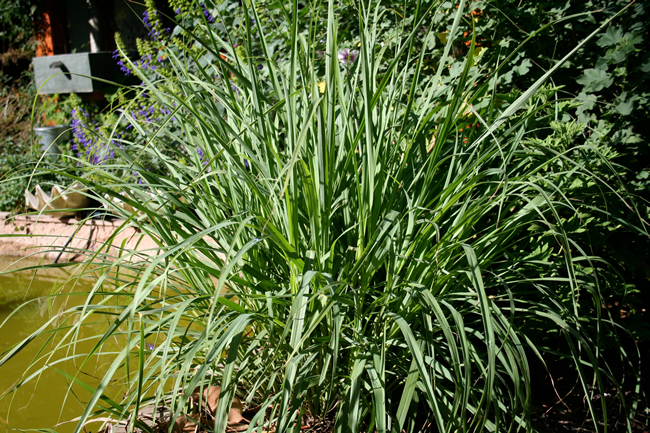 Lemon grass need a well-drained position and plenty of water in hot weather. Lemon verbena leaves dry well and keep their flavour for many years. Lemon flavoured teas are probably the most popular and can be drunk hot or cold. Of the three most popular herbs — lemon balm, lemon verbena and lemon grass; lemon balm (Melissa officinalis) is the easiest to grow. Start it from seed or rooted pieces detached from a clump and it will thrive in any sunny, well-drained position. Often it will self sow around the garden ensuring an abundant supply, pick the leaves as needed and use fresh. Cut back the clump in autumn once the flowers are finished. Lemon verbena (Aloysia triphylla) grows as a small tree which is deciduous in cold climates. It is most easily grown from tip cuttings taken in late spring and the whole plant needs to be cut back by two thirds in early spring. Lemon grass (Cymbopogon citratus) is a native of more tropical regions. It needs plenty of moisture in summer and very good drainage in winter. It won’t tolerate heavy frosts but will survive moderately cold winters as long as it is not too wet. Delicious fragrant teas can also be made from all the mints, perhaps the most refreshing being peppermint (Mentha x piperita). Mints are best grown in big tubs where they can’t take over the garden. A good potting mix, a shady corner and a hard prune after flowering are all they need. Peppermint tea drunk at night increases alertness but doesn’t stop you from going to sleep in the way coffee often will. Annual chamomile flowers (Matricaria recutita) made into a tea will be remembered by many readers who were given it as children when they had toothache, headache or stomach pains. It is a gentle relaxant and sedative but is unfortunately unpalatable to some people. 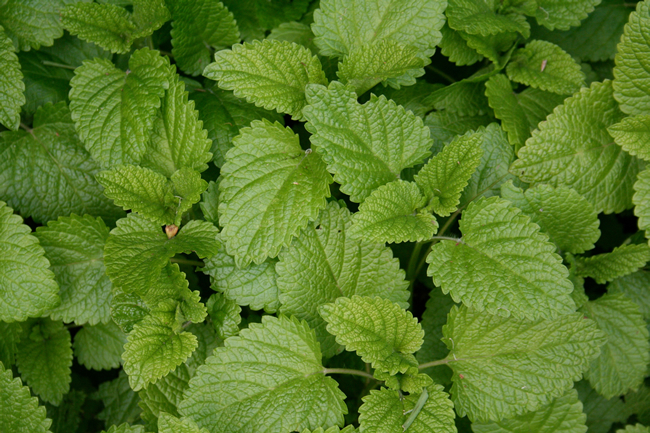 The flavour improves with familiarity, but you can try mixing it with lemon balm which has similar properties, and a little honey, to mask the flavour. 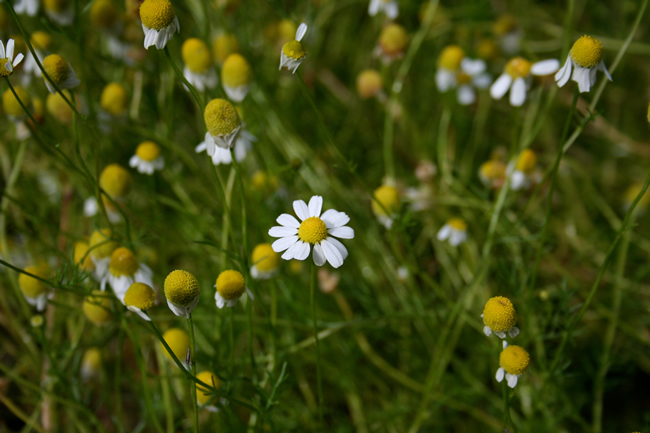 Chamomile is grown from seed and the flowers harvested as soon as they appear. The flowers can be used fresh or dried. Dill (Anethum graveolens) and fennel (Foeniculum vulgare) make interesting anise flavoured teas. 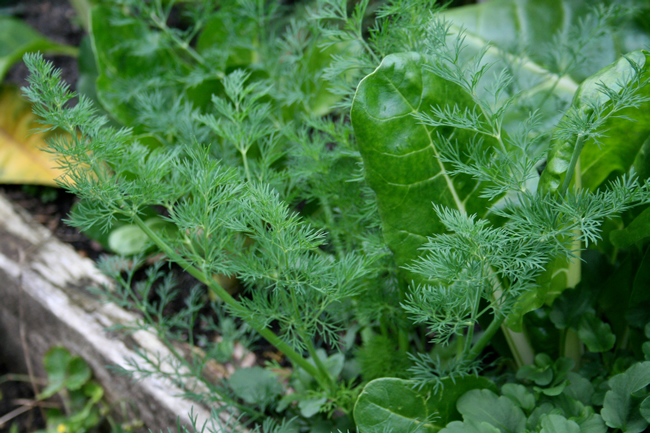 Dill is grown from seed planted in spring in any sheltered sunny corner, while fennel is a noxious weed in many regions so it should be collected from the wild. If this is not possible try planting the bronze form which is more decorative and not so invasive. The seed and leaves of both these plants are used to make a tea that is particulary good for indigestion and flatulence and helps to sweeten the breath. 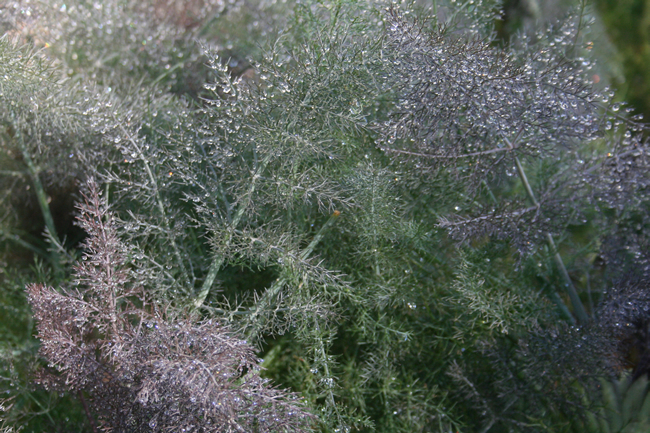 Bronze fennel is less weedy than green fennel and the bronze leaves look great with orange flowers in the garden. Several of the classic mediterranean herbs also make tasty and healthy teas. These include rosemary (Rosmarinus officinalis) , sage (Salvia officinalis) and thyme (Thymus vulgaris). All these plants need sun and well drained soil. Thyme in particular does not like to be cold and wet in winter. Herbs drying, in a dry airy position out of direct sunlight. 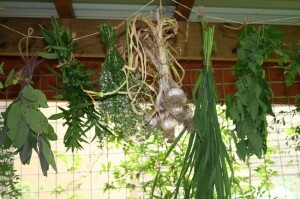 I much prefer herbs for tea if they are fresh, but some are not available all year round so need to be dried. To dry herbs harvest them early in the morning just after the dew has dried from the leaves and hang in bunches in a cool airy place out of direct light. Flowers and small leaves are best dried spread on paper in a similar position, while seed drys well in paper bags. Once dry, seal the plant material into jars or plastic bags, label clearly with the name of the plant and date of harvest and store out of direct light. Check a couple of days later to ensure there is no condensation inside the jar or bag. If there is, then the herb is not completely dry. Remove it and leave out to dry for a few more days. Don’t keep dried herbs for more than twelve months as after this the flavour begins to deteriorate. To make herb tea, first warm the pot, then add the fresh or dried leaves, pour boiling water over the top and leave to stand for up to five minutes. The longer the tea is left to brew the stronger the flavour will be. 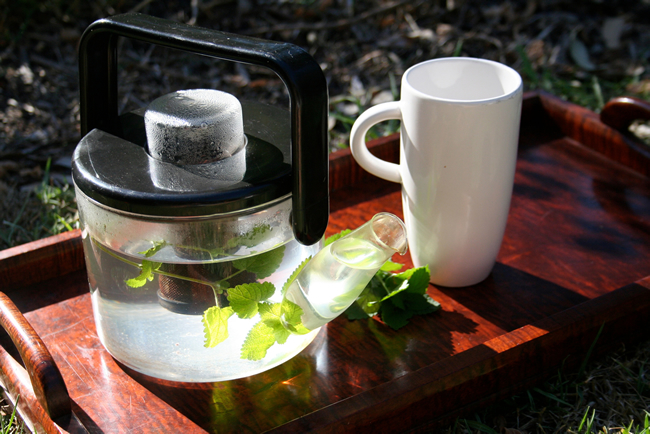 The tea can also be made in a cup and poured through a strainer, or a stainless steel infuser can be used. Milk is never added to herb teas. Refer to the list for the medicinal properties of each herb and have fun experimenting with the different flavours. 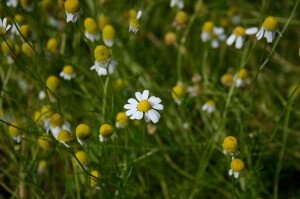 Chamomile, flowers Helps digestion, calms nerves, aids sleep. Dill, leaves and seeds Eases indigestion and reduces flatulence. Fennel, leaves and seeds Eases indigestion and reduces flatulence, often drunk to suppress appetite. 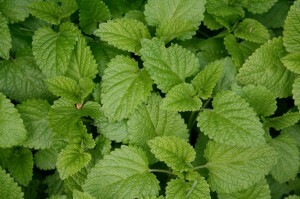 Lemon balm, leaves Calms the nerves and settles the stomach. 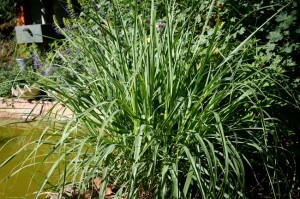 Lemon grass, leaves Eases indigestion and reduces flatulence. Lifts the spirits. 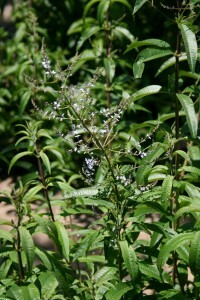 Lemon verbena, leaves Helps upset stomachs, revitalizing. Peppermint, leaves Eases indigestion, flatulence and colic. Relieves nausea. Pick-me-up. Rosemary, leaves and flowers Stimulates circulation and eases headaches. Sage, leaves and flowers Antiseptic, good for sore throats and sinus congestion. Thyme, leaves or flowers Antiseptic, sweeten with honey for soothing cough mixtures.